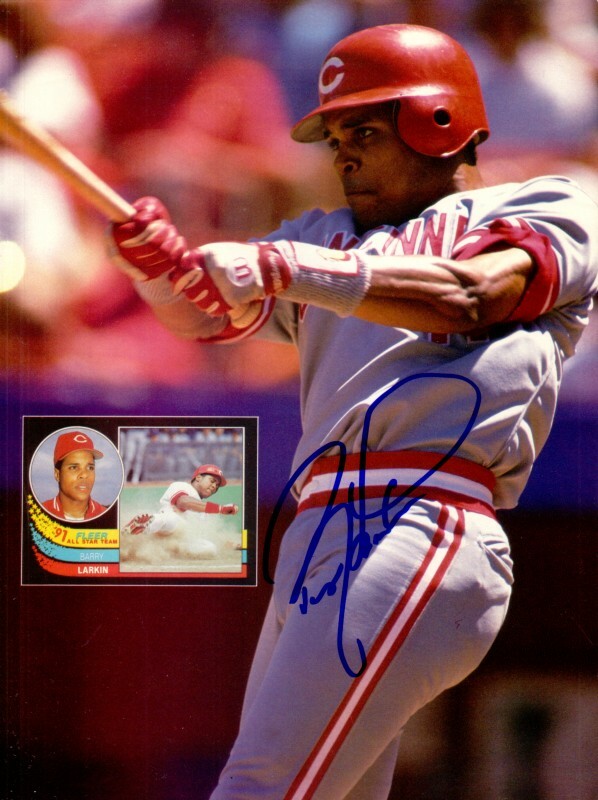 Beckett Baseball magazine back cover photo autographed in blue marker by Cincinnati Reds future Hall of Fame shortstop Barry Larkin. Suitable for framing. With certificate of authenticity from AutographsForSale.com. ONLY ONE AVAILABLE FOR SALE.